It’s easy to get a library card in New Orleans and you don’t have to have a New Orleans driver’s license (but you should get one). 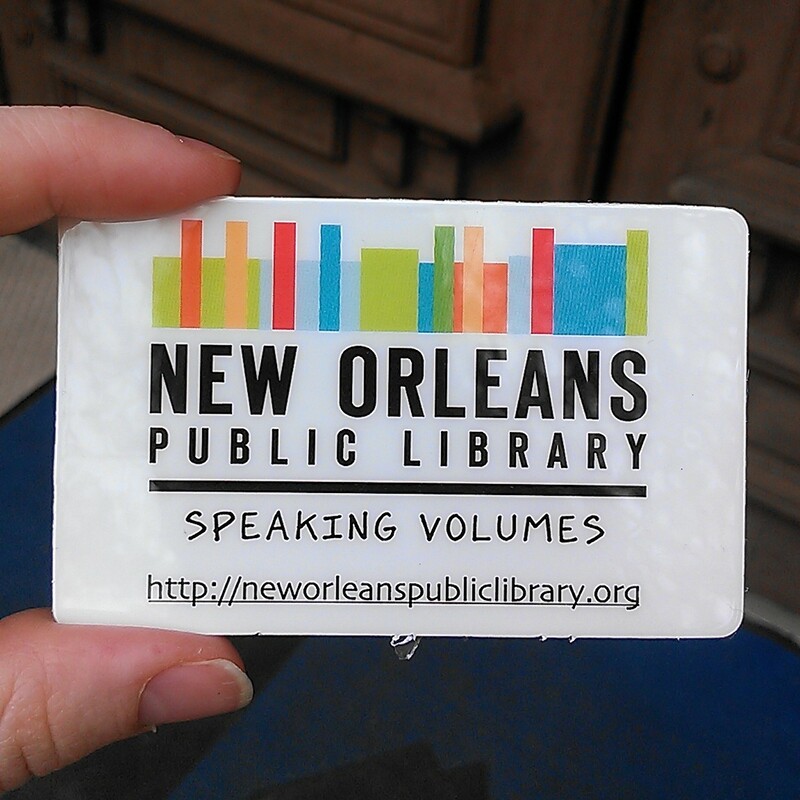 A NOLA library card gets you access to thousands of print books, e-books, audiobooks, DVDs and magazines. – Go to the library’s website (click here). – Type in your name and your info. – Select your home library branch (all branches) – this is the branch you’ll go to most frequently. NOTE – the NOLA library system is good about moving items around so you can get any item delivered to your home branch. For example, you can make the Algiers branch your home branch because it is close to your apartment and request kids books from the children’s museum on Napoleon. You then pick up the children’s books at the Algiers branch. If there are no holds on the book and it is on the shelves, the library system estimates it can have it to your requested branch in 24 hours. – Wait 15 minutes (or not) and then head to your selected home branch to pick up your library card. Take your New Orleans driver’s license if you have one (how to get one). If you don’t have a local license, take your current form of ID and a bill with your name and local address. Bill examples: electric, cable, gas, phone, mortgage, car payment, insurance, paycheck, social security, credit card, etc. Take a few with you just in case. – At the library, go to the front desk and tell them you signed up online for a library card and you are there to pick it up. The librarian then will finish the paperwork and get you a card. It took less than 10 minutes the day we went. – Get your card and put it on your keychain or in your wallet. Congrats! You now are ready to check out books! Make sure to sign up for text/email alerts when your books are almost due so you’ll avoid fines. I’m so so so happy I came across this blog!!! I’ve been looking for something like this for awhile now 🙂 I will be reading literally every post because I’m new to NOLA and have no idea where to go or what to do! I’m so glad you find it useful. Welcome to town! We are happy to help. Please let me know if you think of any other things you’d like to know about. My email is newinNOLAblog@gmail.com.